Au pair Raphaela and her host family. 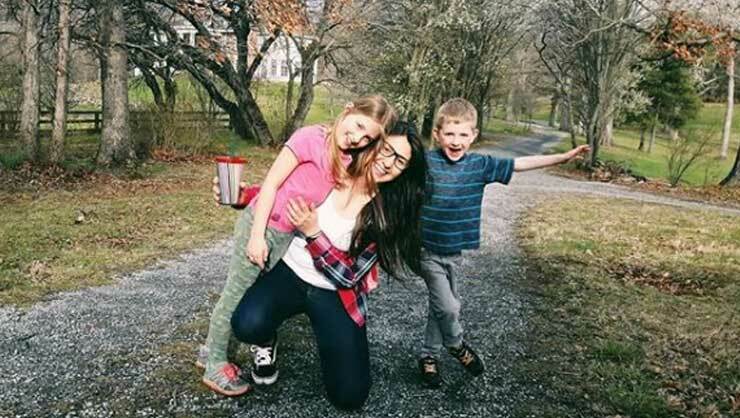 Au pair Raphaela, from Brazil, has had an amazing experience with her host family in Virginia. 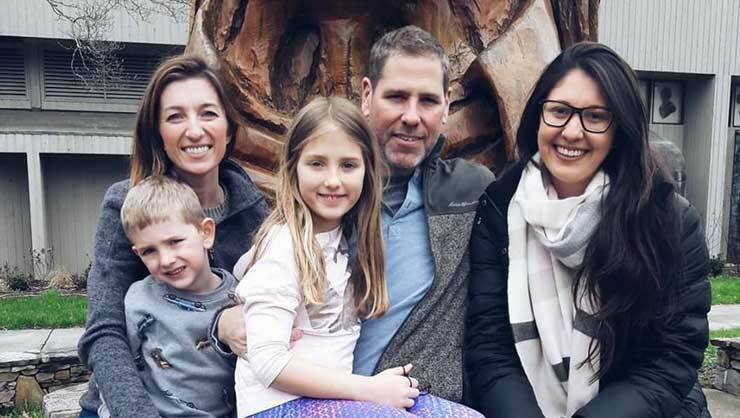 She shared some thoughts with us about her life in the USA, her host family, and what she's learned about herself. Check it out below! Hi, I’m Raphaela, I’m 25 years old and am from Brazil. 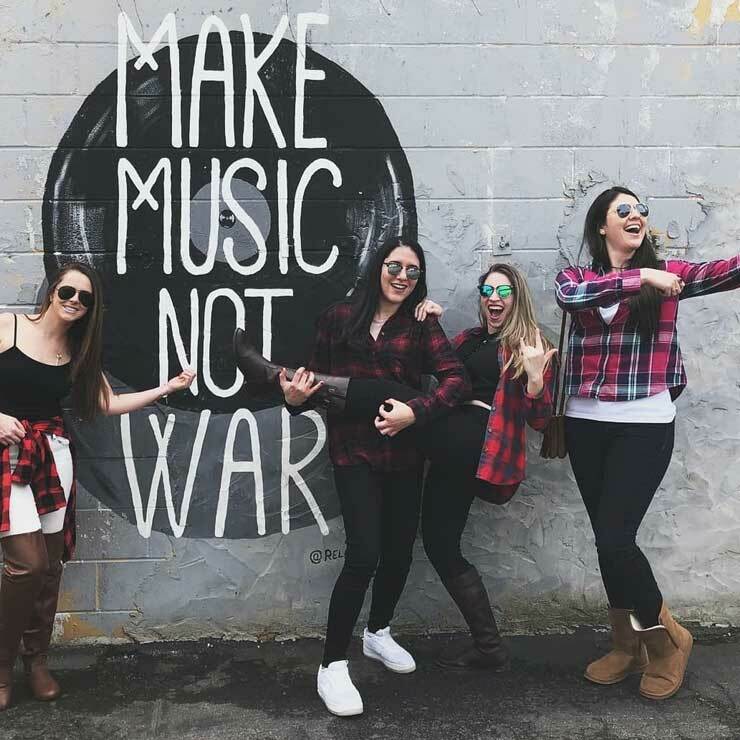 I decided to become an au pair for three main reasons- to have the opportunity to meet and live new experiences and cultures, to improve my English so that I can get a better job position in my country when I come back, and to overcome obstacles and learn more about me. Living in the USA has been an amazing opportunity that I will never forget. I’ve been living here for nine months and visited nine states. On my extended vacation, I went to visit four countries in Europe. I’ve been surprised by the USA, the beauty, culture, and the opportunity to see a future where you’re able to do everything that you want. Because from the moment you can adapt to everything that is different from you, it means that you can do anything. Au pair Raphaela loves her host kids. My host family is the best in the world. I take care of two children, Thomas is 5 years old and Katelyn is 7 years old. They’re amazing and funny. We have a great relationship! The same time that I’m taking care of them, I’m also learning from them. We love to play, to invent new games together, go to the library, visit parks, read… we always have a lot of fun. My host parents are amazing! They make me feel part of their family. They care about me. We also have a great relationship, I feel very comfortable to talk with them about everything. I made a lot of friends here, they also became my family. Most of my friends are au pairs too. Hanging out with fellow au pairs. We’re sharing the same experience, we’re living incredible things together, we can understand and help each other in difficult times. And my vacations, road trips, movie theater days, among other fun things, become much more fun when I’m with my friends. I’ll certainly take the friendships that I made here for the rest of my life. 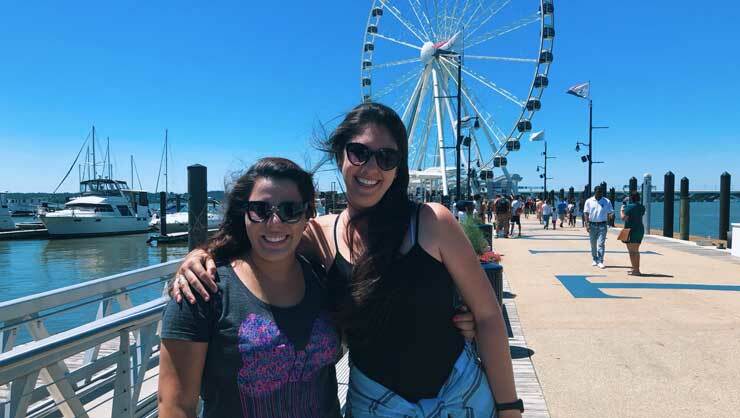 Raphaela will always cherish her time as an au pair. The au pair program has changed my life. I'm improving my English faster than I imagined and I am getting to know different cultures and beliefs which make me an empathic person every day. I’m getting to test my inner strength. I realize I can do whatever I want and make dreams come true, like this one- to live in the USA as an au pair.